Start off the day with breakfast right on the beach at Bombora’s Kiosk in Torquay. 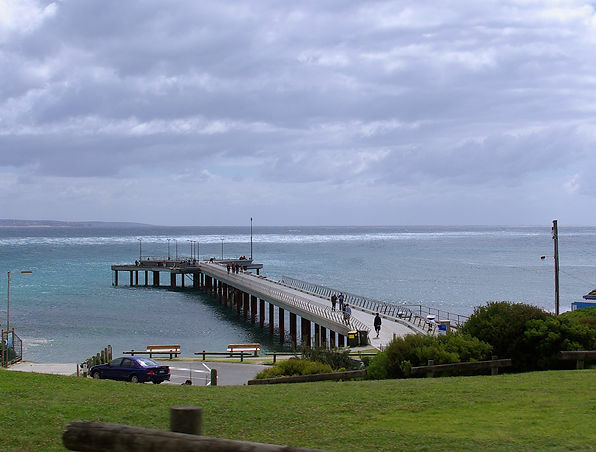 Located parallel to The Esplanade, watch the waves roll in at Fisherman’s Beach, better known to the local as ‘Fisho’s’. 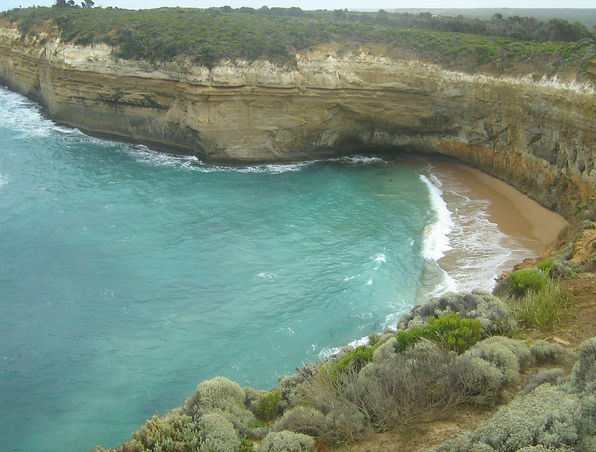 Access the Great Ocean Road via Surfcoast Highway in Torquay. Once you are on the Great Ocean Road, shortly take a left hand turn onto Bells Boulevarde, then another left on Bones Road to Bells Beach Road, the prime tourist destination to spot some great surf and surfers! 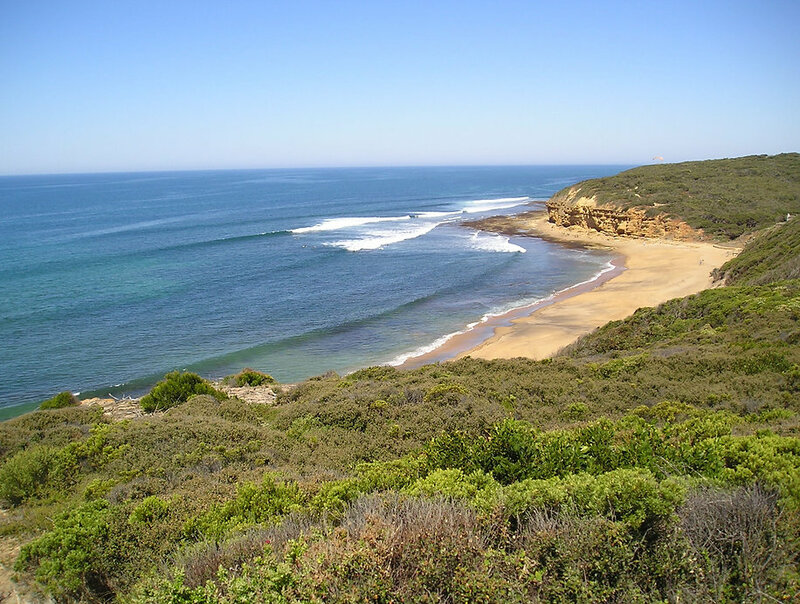 Bells Beach is where the Rip Curl pro surfing competition is held every Easter and definitely worth a detour. The swell and current is very powerful though so if you plan on swimming, do it with caution. There are plenty of lookout points to marvel at this iconic Australian beach, so I recommend taking in the view from this safe distance instead! 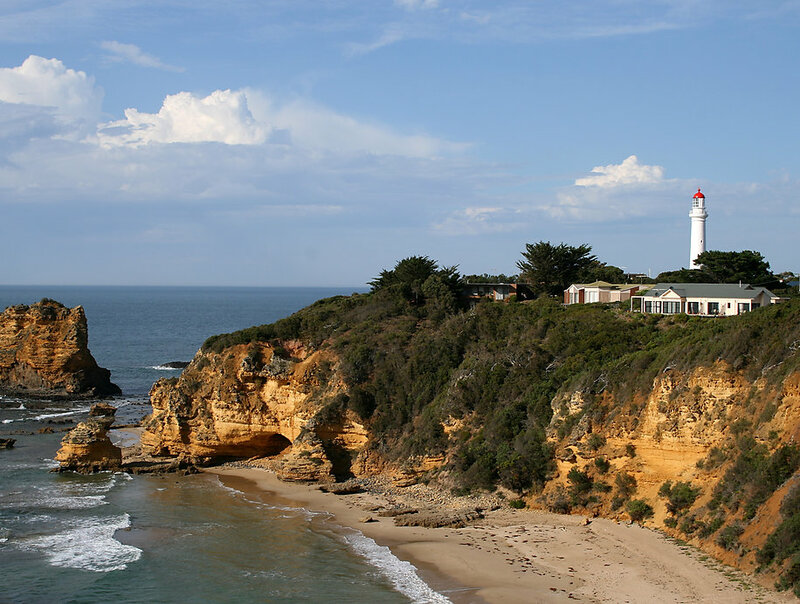 Next, you’ll drive through the quaint beachside towns of Anglesea and Aireys Inlet where the main street represents some of what the more built up surfcoast towns used to be. Stretch your legs at the Aireys Inlet Lighthouse, popular for the buildings pivotal role in Australia’s childrens program ‘Round the Twist’. Feel like a coffee? Mr T & Me is a great place to go in Aireys for a nice cappuccino or organic juice. The Great Ocean Road Memorial is just past Aireys Inlet and is a popular spot for photos as well as a look into its historical past with statues of the volunteers who built the road. 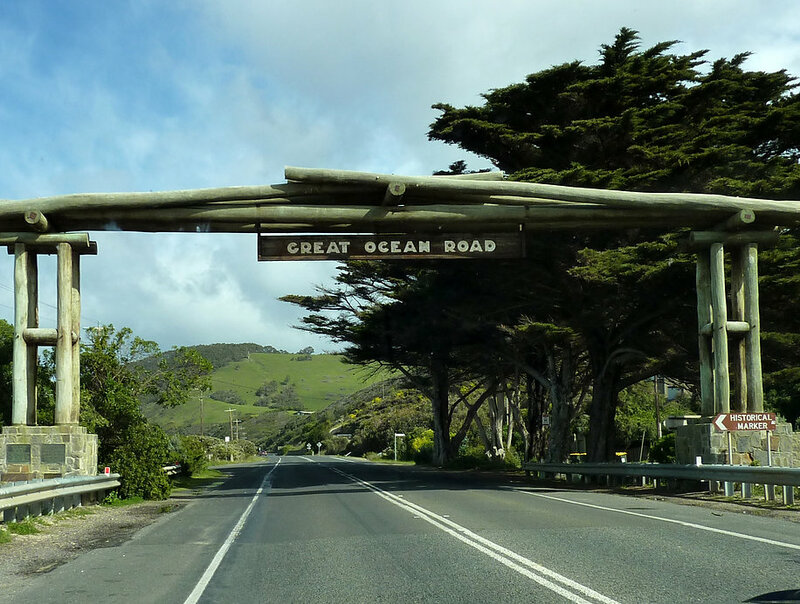 The Great Ocean Road to Lorne is where it starts to get truly rugged as you bypass creeks and secluded beaches with your car or mode of transport surrounded by windswept coastline on one side and weathered rock on the other. I suggest rolling down your window to breathe in the sea air fragranted with fresh gum from the gumtrees. Keep your eyes peeled for Koalas! 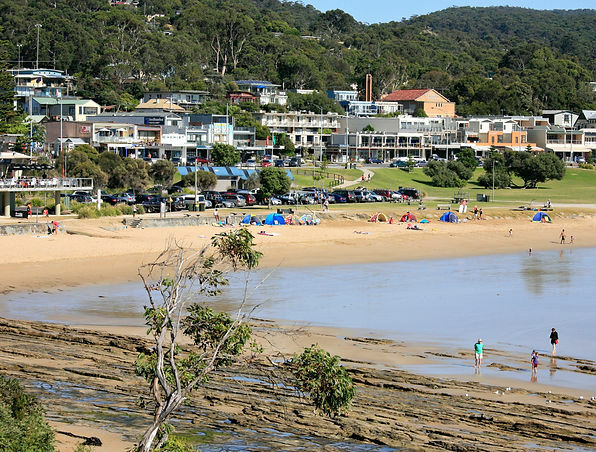 When you reach the bustling town of Lorne, filled with a mix of locals and holiday makers, the road will cross paths with Erskine River and wind itself around the main street of shops. The town of Lorne is definitely worth meandering through as there is an abundance of nice restaurants, cafes and a few surf wear shops. For lunch, I recommend getting a pie from Louttit Bay Bakeryand sitting across the road on a picnic table to have a lunch with a coastal view. Just watch out for those cockatoos who fancy a bit of your sausage roll too! Stop at Teddy’s Lookout just after the main street of Lorne for another photograph opportunity as this view is truly unreal. Follow the road for another 17 kilometres to get to the somewhat remote, picturesque and tiny town of Wye River. 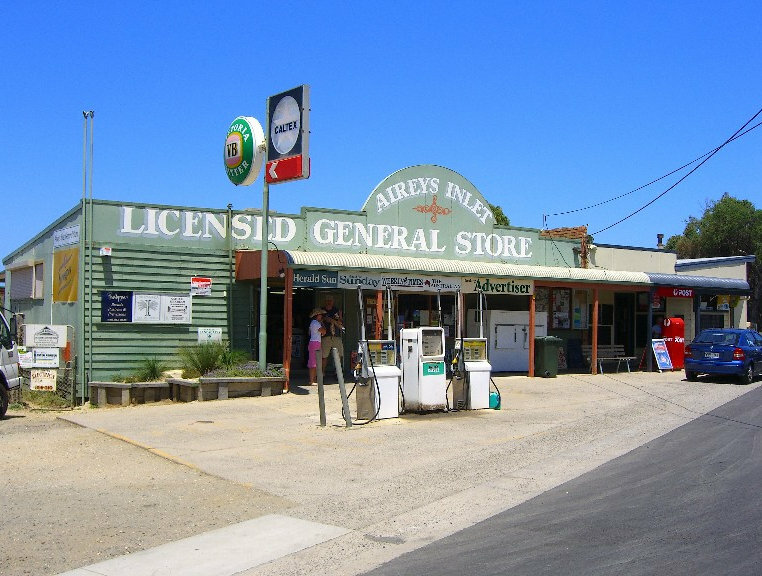 Consisting of a general store, a holiday park and beach houses dotted around the hillside, Wye River has a charm like no other destination along this road. Have a delicious meal in the Wye General Store, named such as it doubles as a convenience store and a gourmet deli. Then relax in one of the many holiday rentals Wye River has to offer, by putting your feet up for a well deserved break, looking out over the Great Ocean Road and the oceans rippling waves.